Unemployment is a term referring to individuals who are employable and seeking a job but are unable to find a job. Furthermore, it is those people in the workforce or pool of people who are available for work that does not have a job. Usually measured by the unemployment rate, which is dividing the number of unemployed people by the total number of people in the workforce, unemployment serves as one of the indicatorsEconomic IndicatorsAn economic indicator is a measure of the overall state of the macroeconomy. Economic indicators are often collected by a government agency or private business intelligence organization in the form of a census or survey, which is then analyzed further to generate an economic indicator. Analysts and investors of an economy’s status. The term “unemployment” can be tricky and often confusing, but it certainly includes people who are waiting to return to a job after being discharged from it. However, it does not anymore encompass individuals who have stopped looking for a job in the past four weeks due to various reasons such as leaving work to pursue higher education, retirementSocial SecuritySocial Security is a US federal government program that provides social insurance and benefits to people with inadequate or no income. The first Social Security Act was signed into law in 1935 by President Franklin D. Roosevelt. The law underwent several modifications over the years to include several social welfare, disability, and personal issues. Even people who are not actively seeking a job anywhere but actually want to find one are not considered unemployed. 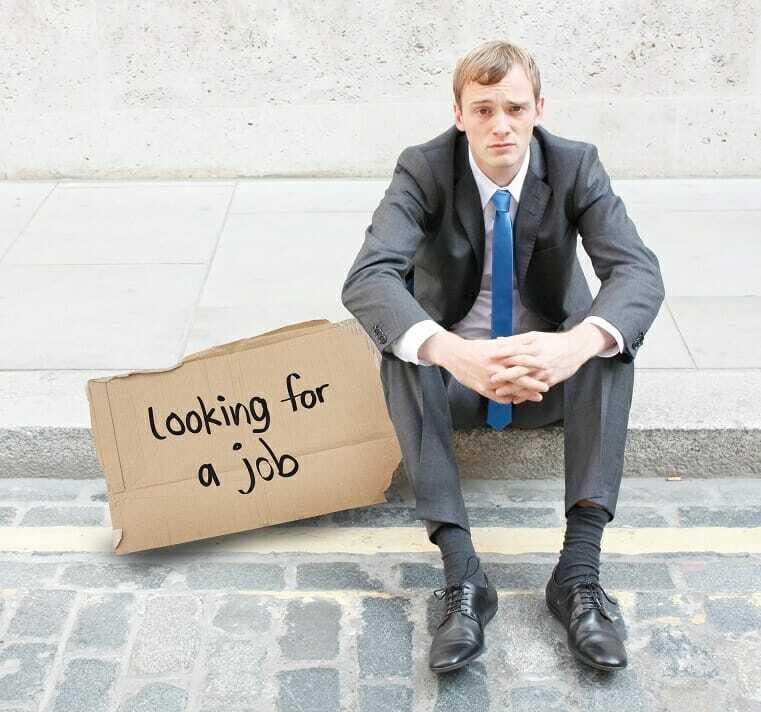 Interestingly, people who have not looked for a job in the past four weeks but have been actively seeking one in the last 12 months are put into a category called the “marginally attached to the labor force.” Within this category is another category called “discouraged workers,” which refers to people who have lost all their hope of finding a job. The too many details and exclusions mentioned above make a lot of people believe that unemployment is vague and that the unemployment rate does not fully represent the actual number of people who are unemployed. So, it is a good idea to also look at the term “employment,” which the Bureau of Labor Statistics (BLS) describes as individuals aged 16 and above who have recently put hours into work in the past week, paid or otherwise, because of self-employment. There are basically four types of unemployment: (1) demand deficient, (2) frictional, (3) structural, and (4) voluntary unemployment. This is the biggest cause of unemployment that happens especially during a recession. When there is a reduction in the demand for the company’s products or services, they will most likely cut back too on their production, making it unnecessary to retain a wide workforce within the organization. In effect, workers are laid off. Frictional unemploymentFrictional UnemploymentFrictional unemployment is a type of unemployment that arises when the workers are searching for new jobs or are transitioning from one job to another. It refers to workers who are in between jobs. An example is a worker who recently quit or was fired and is looking for a job in an economy that is not experiencing a recession. It is not an unhealthy thing because it is usually caused by workers looking for a job that is most suitable to their skills. Structural unemploymentStructural UnemploymentStructural unemployment is a type of unemployment caused by the discrepancy between the skills possessed by the unemployed population and the jobs available happens when the skills set of a worker does not match the skills demands of the job available or if the worker cannot reach the geographical location of the job. An example is a teaching job that requires relocation to China, but the worker cannot secure a work visa due to certain visa restrictions. It can also happen when there is a technological change in the organization, such as workflow automation. Voluntary unemployment happens when a worker decides to leave a job because it is no longer financially fulfilling. An example is a worker whose take-home pay is less than his cost of living. Unemployment is caused by various reasons that come from both the demand side, or employer, and the supply side, or the worker. From the demand side, unemployment may be caused by high interest rates, global recession, and financial crisis. From the supply side, frictional unemployment and structural employment play a great role. The impact of unemployment can be felt by both the workers and the national economy and can create a ripple effect. Unemployment causes workers to suffer financial difficulties that may lead to emotional destruction. When it happens, consumer spending, which is one of an economy’s key drivers of growth, goes down, leading to a recession or even a depression when left unaddressed. Unemployment results in lowered purchasing power, which, in turn, causes lowered profits for businesses and leads to budget cuts and workforce reduction. It creates a cycle that goes on and on and on. Everyone loses in the end. Unemployment that lasts longer than 27 weeks even if the individual has sought employment in the last four weeks is called long-term unemployment. Its effects are far worse than short-term unemployment for obvious reasons, and the following are noted as some of its effects. A huge 56% of the long-term unemployed reported a decrease in their income. It seems that financial problems are not the only effects of long-term unemployment as 46% of those in such a state reported experiencing strained family relationships. The figure is relatively higher than the 39% percent who weren’t unemployed for as long. Another 43% of the long-term unemployed reported a significant effect on their ability to achieve their career goals. Sadly, long-term unemployment led to 38% of these individuals to lose their self-respect and 24% to seek professional help. Unemployment is a serious social and economic issue that results in a tremendous impact on everything but is often overlooked. A stronger system of assessing unemployment should be put in place in order to determine its causes and how to address it better.